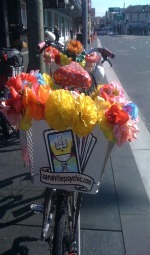 News Flash: Psychic Sarah is on the move! Exciting news from the world of Psychic Sarah: I am moving to my very own private tarot office! 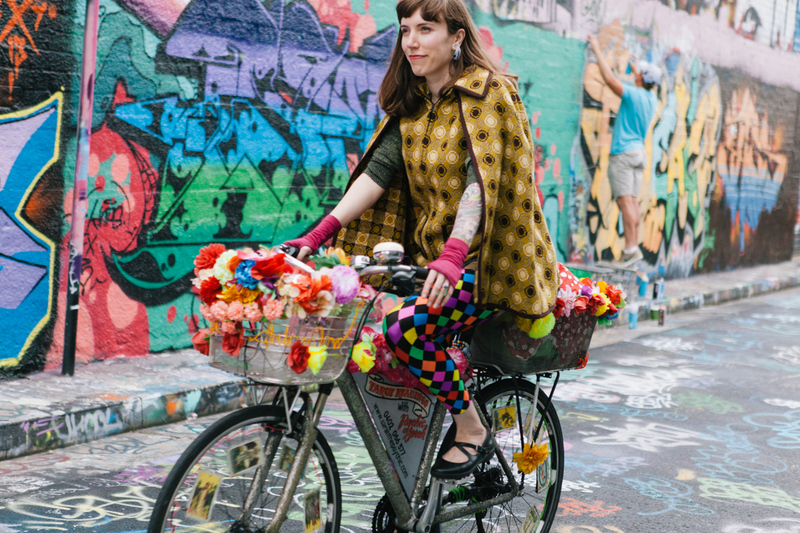 I will still be in Newtown, but from July 7, 2013 my office as well as my glittery floral tarot art-bike will be found at the corner of King and Queen Streets, a 10 minute walk up King St from my previous location at Pure Botanicals. The new address is 22 King St Newtown (the North/City end), above the wonderful ‘Suzy Spoon’s Vegetarian Butcher’ (also opening very soon). My last day at Pure Botanicals is Wednesday July 3. I would like to thank everyone there for supporting my business over the years. It has been an amazing place to work, and indeed, there was a time when I couldn’t imagine working from anywhere else. I have stayed there for 7 years and 7 months for a good reason: it has been an ideal place from which to grow my business. The owners Sophie Charleston and Sky Stewart have built not only a holistic centre, but a community. Thank you for providing this space for us all. A big thank you to everyone who has supported my business thus far, I look forward to seeing you in my brand new tarot office!